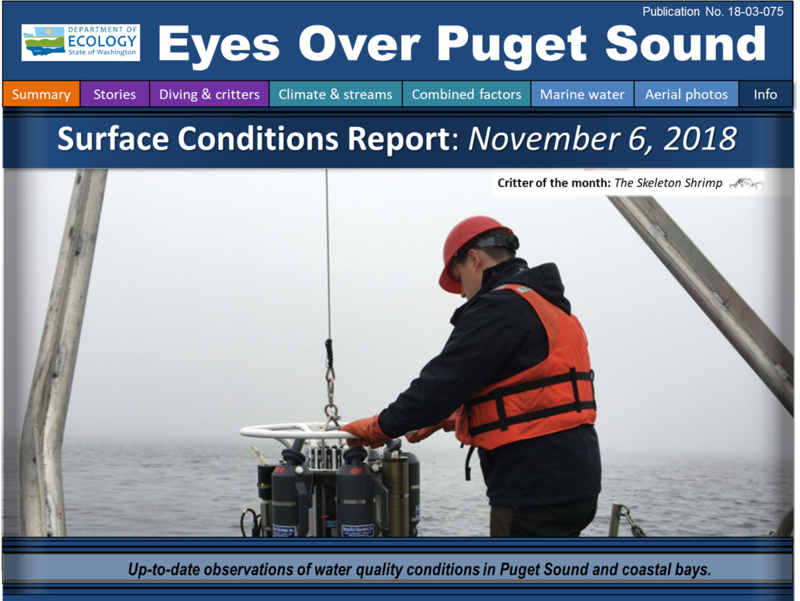 Eyes Over Puget Sound: Surface Conditions Report — November 6, 2018. Description This fall, elevated air temperatures, lower precipitation, and lower river flows generally persisted; this aligned with fall and winter climate predictions. Following a warm summer, October water temperatures dropped back to optimal ranges for many fish. Puget Sound water has cleared and visibility has increased as the productive season ends, making it easier to document jellyfish and schools of fish in the inlets of South Sound. While these flights generate a lot of attention, the majority of our monitoring in Puget Sound is now done via boat!